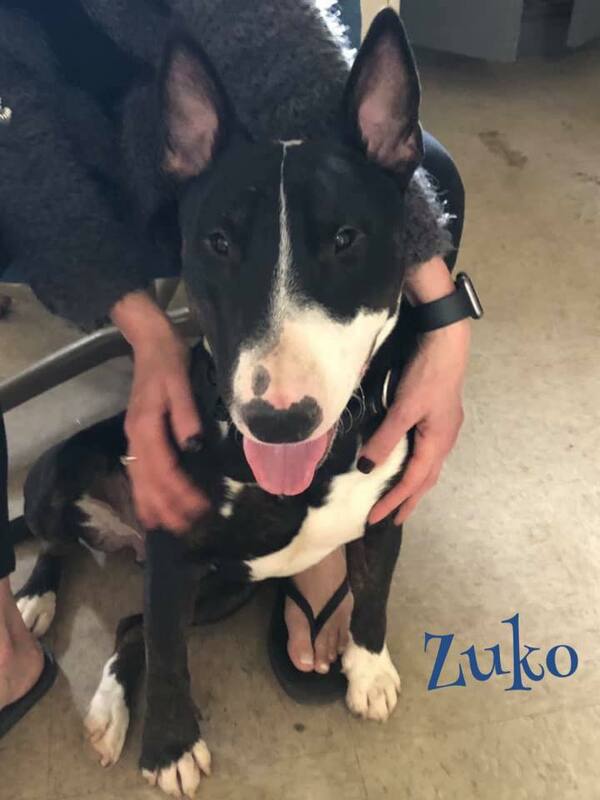 Available Dogs – Las Vegas | Bull Terrier Rescue, Inc.
Poor Zuko just can’t catch a break. His awesome foster dad had to leave for California immediately after a family emergency. His stay in California will be extended and he cannot bring Zuko with him as he’ll be caring for his father and have extended work hours in the family business. We have him back with his former interim fosterer but she can only hold for a week due to work constraints. Zuko will need an experienced and confident fosterer who will maintain the much needed structure, leadership and boundaries that he’s been thriving on the past few weeks. He is dominant and will resource guard his favored person so a strong, confident but loving leader who won’t be hesitant about giving him much needed structure is a must. He is good with other dogs but on a limited basis as he can become overstimulated during play. Zuko is 1.5 years old and about 52lbs. Our paws are crossed for this challenging little fellow. If your information is not yet on file, please complete our online application: http://www.bullterrierrescue.org/?page_id=572. An overview of our adoption process can be found here: http://www.bullterrierrescue.org/?page_id=3096.